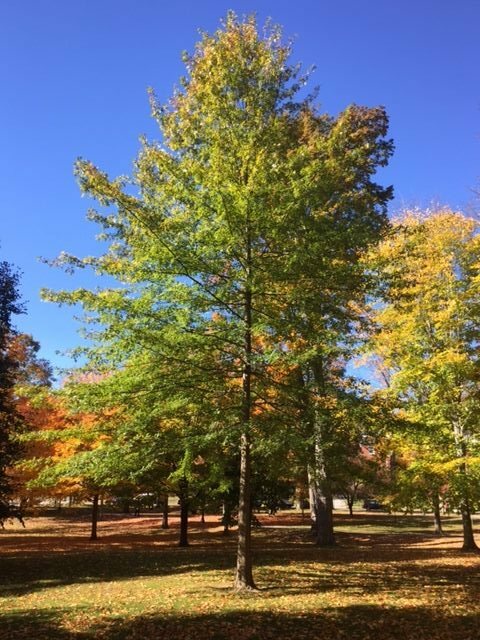 The verdant campus of Bates College offers an opportunity to observe spectacular trees as they transition through the seasons. 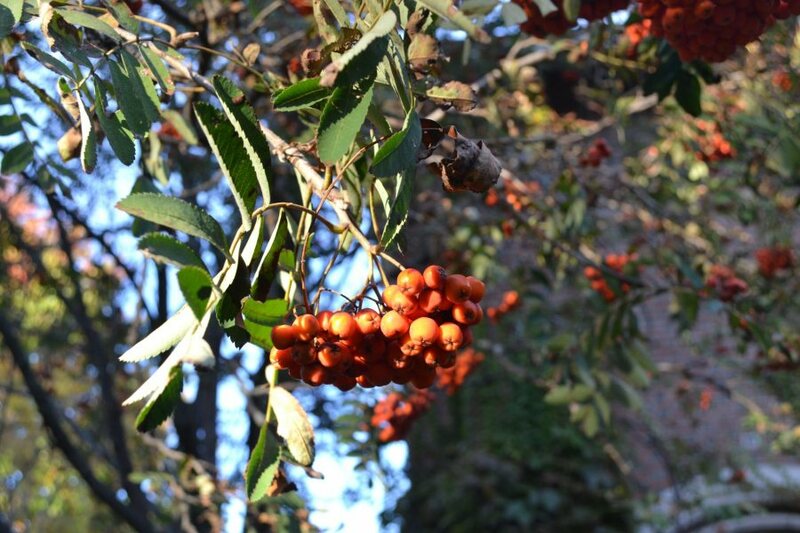 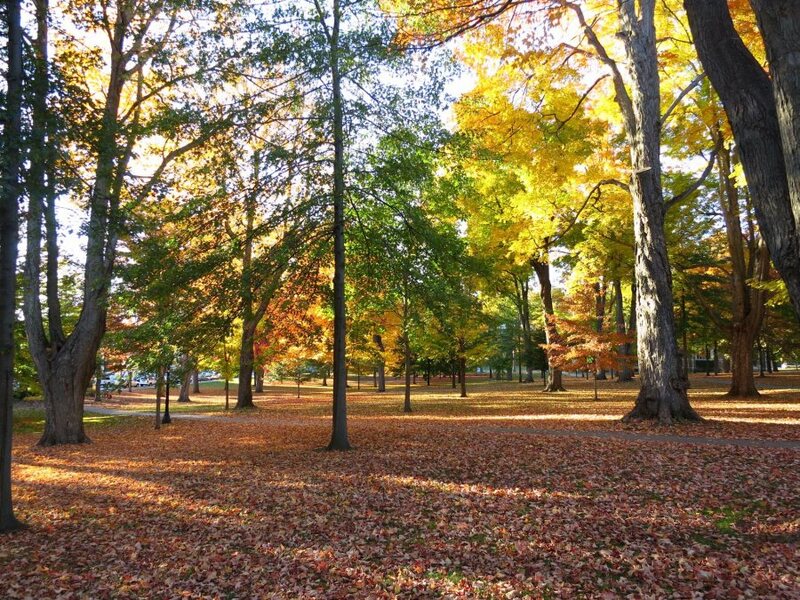 With hundreds of woody plant species, both native and non-native trees and shrubs, carefully maintained by experienced landscape architects, Bates Campus is essentially an arboretum begging to be explored. 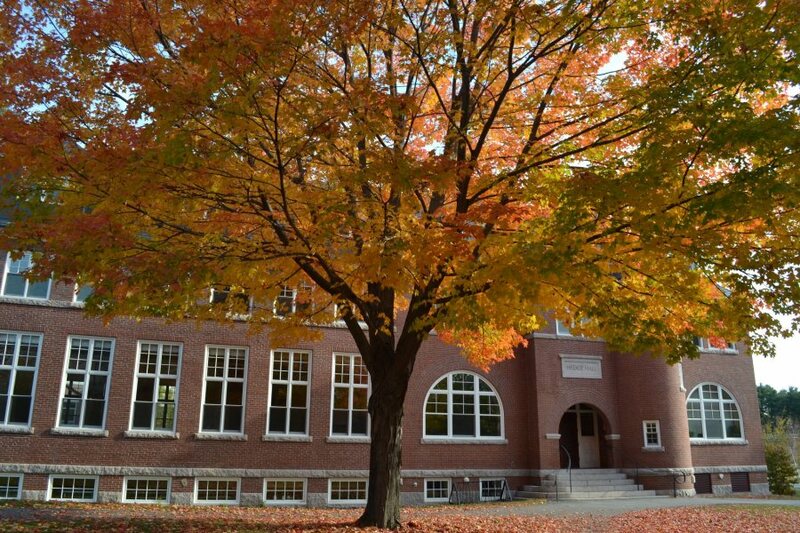 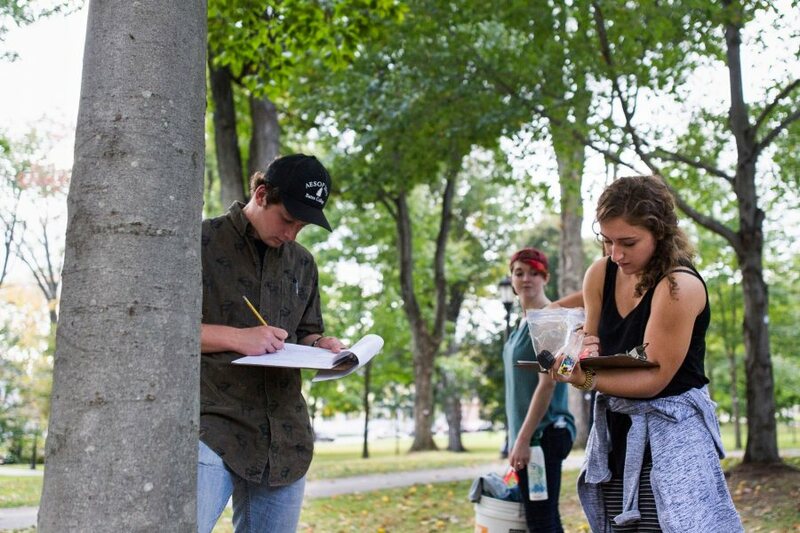 The purpose of Bates Canopy is to offer a treasure trove of information on the botanical identification and natural history of trees on the campus of Bates College. 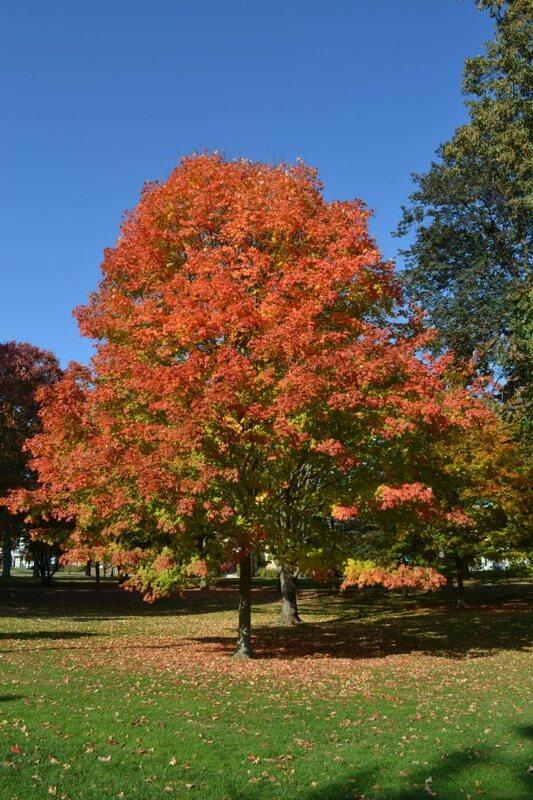 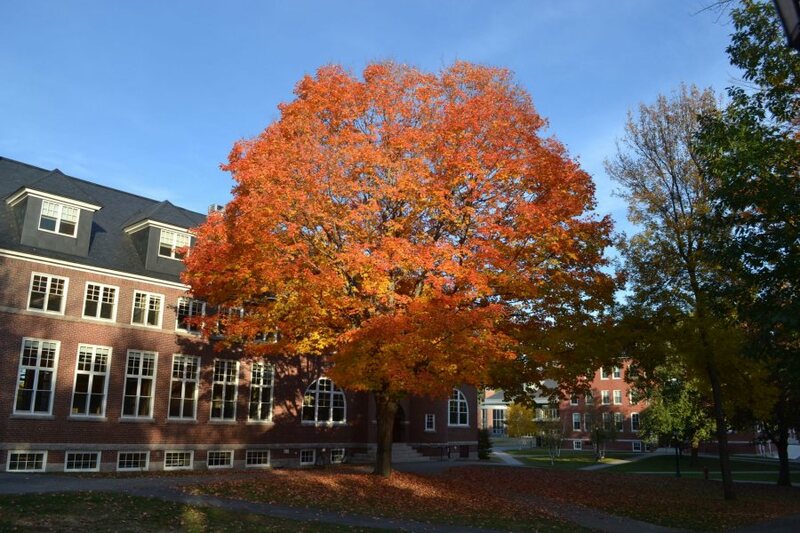 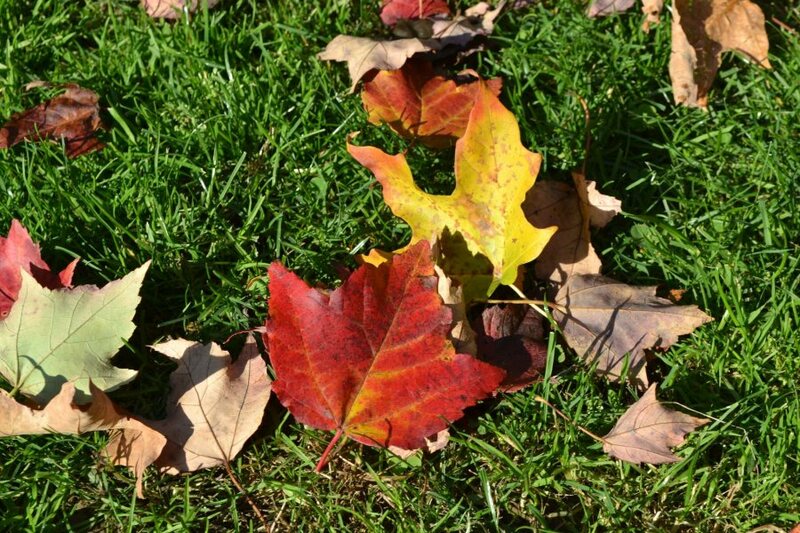 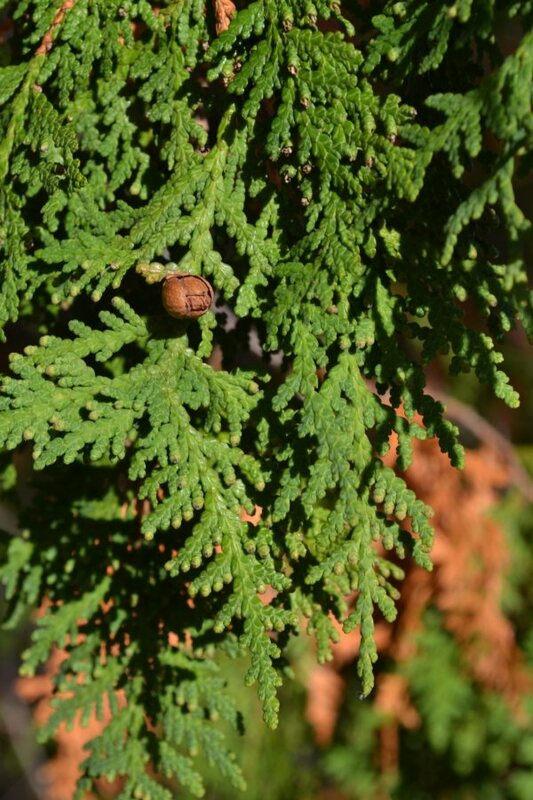 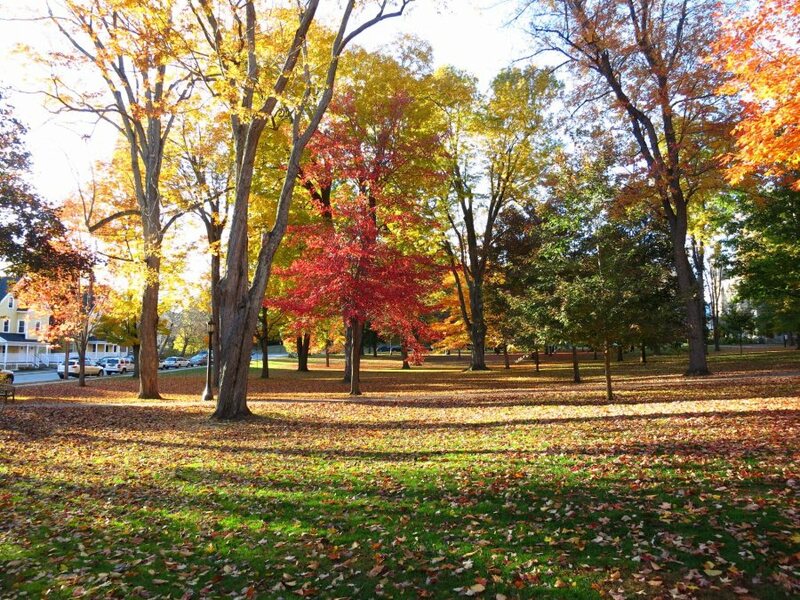 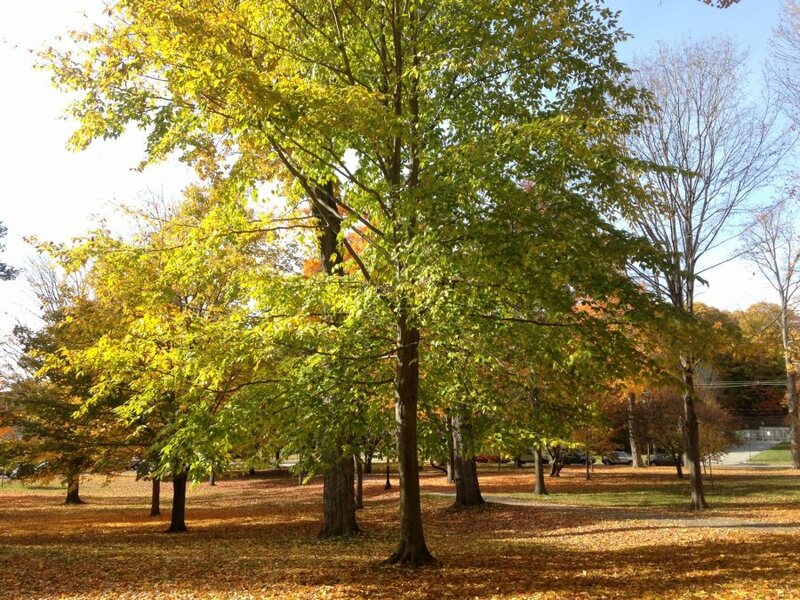 This resource is intended for the use by members of the Bates community, including faculty, students, alumni, visitors, and neighbors, with the goal of deepening everyone’s appreciation and knowledge of trees on campus and in New England. 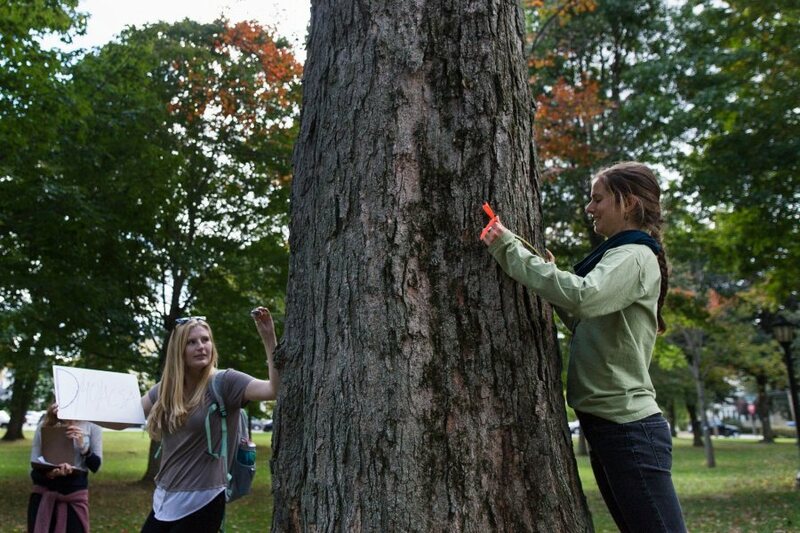 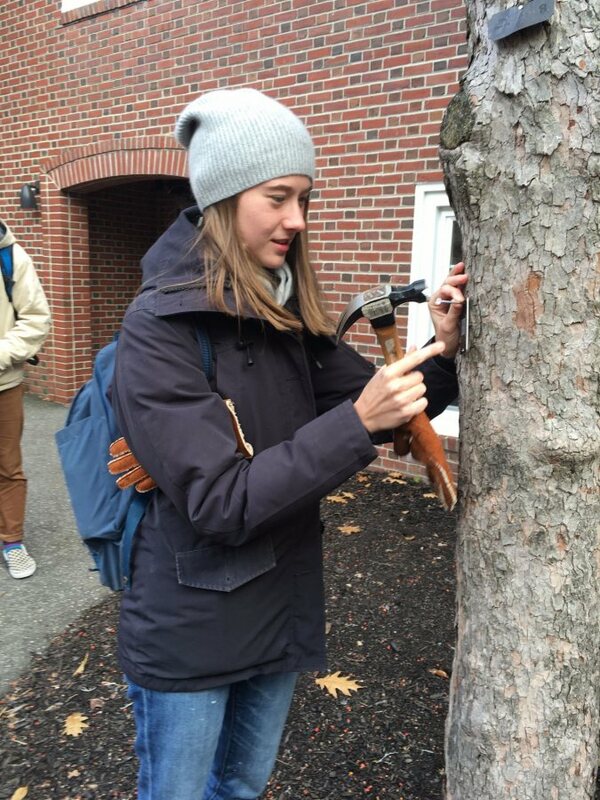 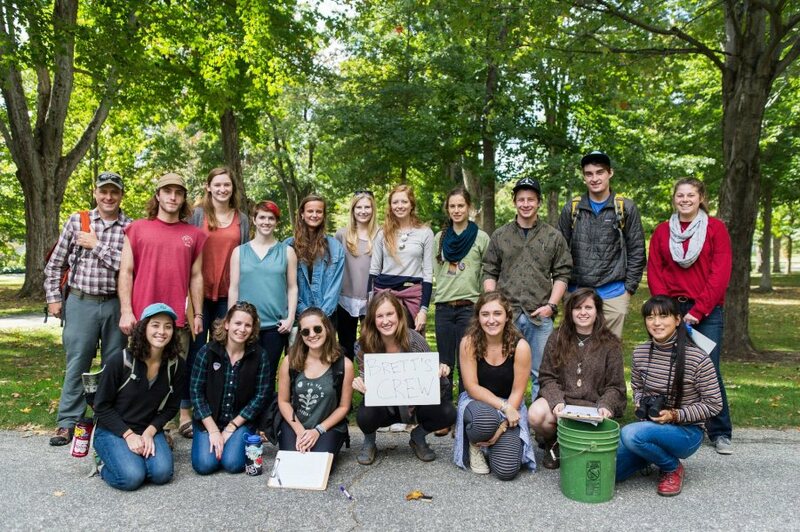 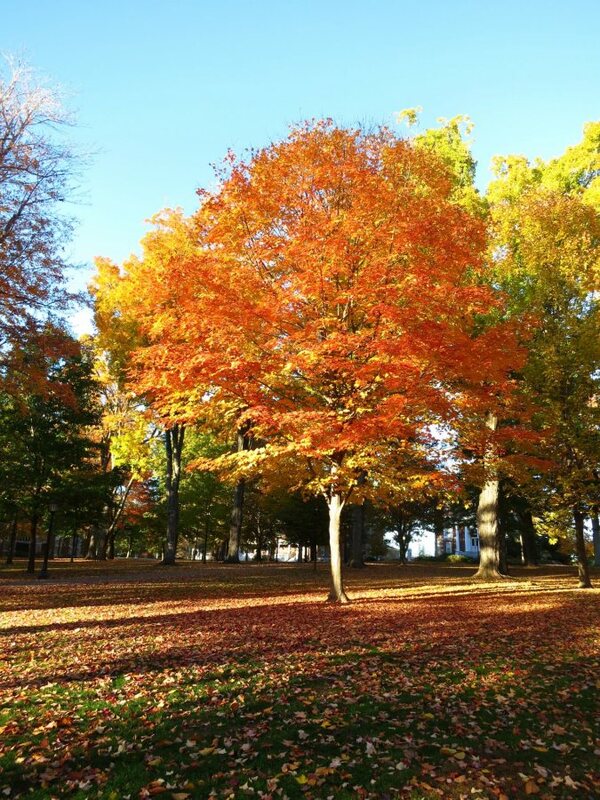 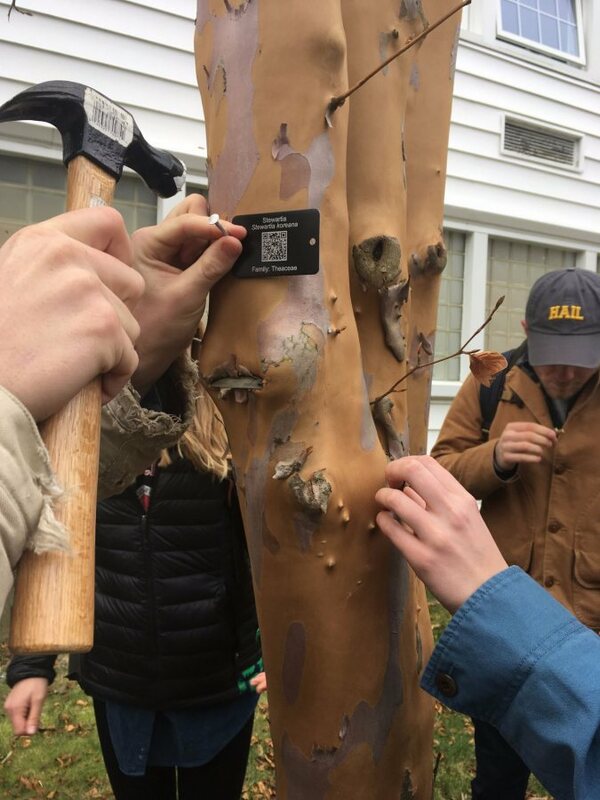 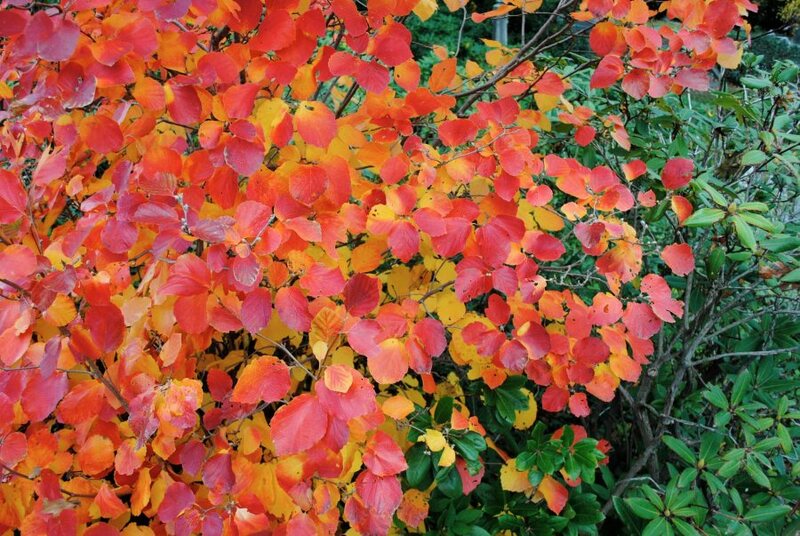 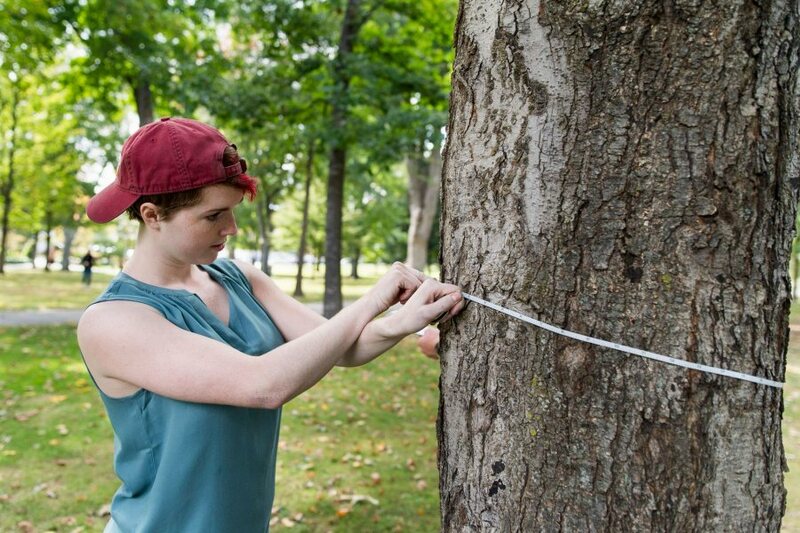 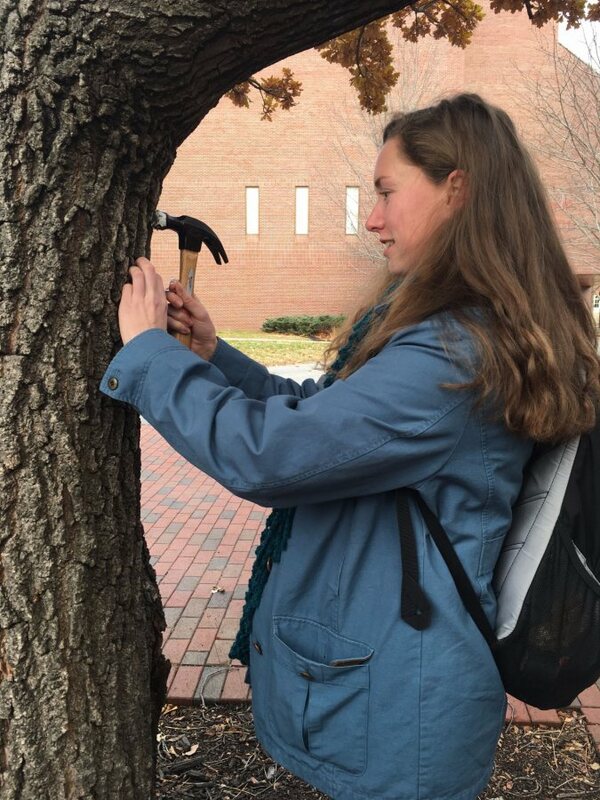 In the fall of 2015, students enrolled in Dendrology and the Natural History of Trees (BIES 271) assisted in establishing, designing, and launching Bates Canopy: an online resource that, with interactive GIS mapping, documents many of the tree and shrub species on campus. 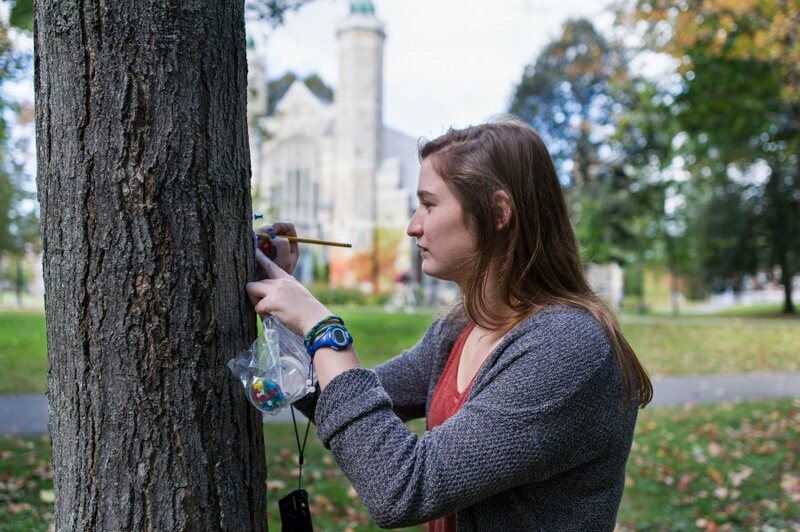 With contributions by future students enrolled in courses offered in the Department of Biology, Bates Canopy will continue to expand in coverage and deepen as a resource for dendrology and the natural history of trees. 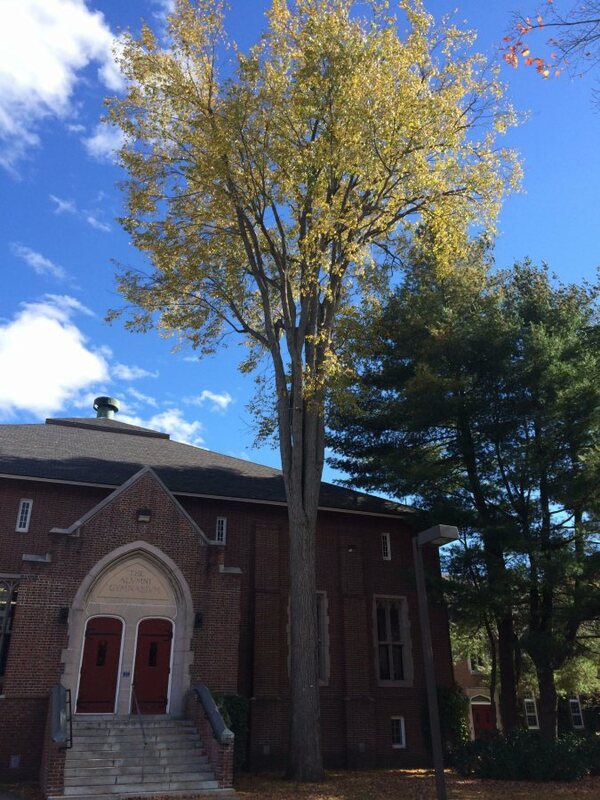 Please contact Assistant Professor Brett Huggett with questions and/or comments regarding Bates Canopy.